Just the right size for the young. Bright easy to read numbers with a red second hand. Great for learning time! Features both Male and Female voices that announce the Time by pressing the button once. Pressing the button twice announces the Day, Date, and Year. The watch also has an alarm which can be easily set On or Off. 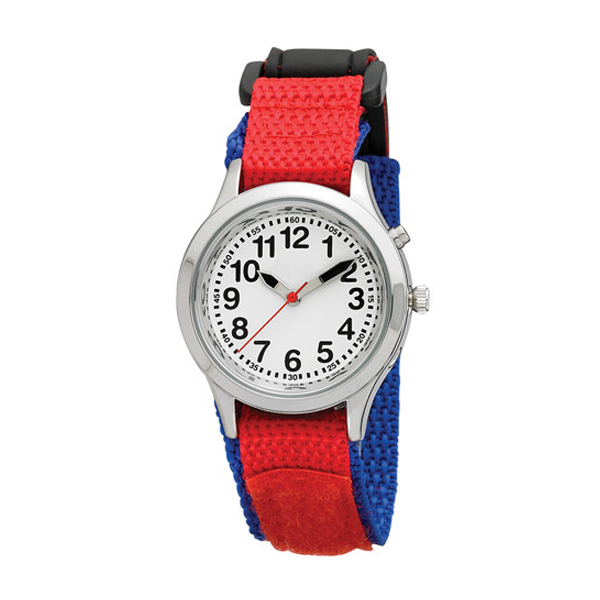 The strap is fashionable, features gender appropriate colors, and fits any size. Packed in a bright, fun yellow pouch.